Calendar: View your scheduled depositions, schedule depositions, cancel depositions and to reschedule depositions. Order Transcript: If you need another hard copy of a transcript. Activity: This is your invoice area, use this to view and print open and closed invoices. If you select Transcript or Repository and do not see any files please make sure you select at least one search criteria. If you are searching Transcript or Repository and cannot find the file you are looking for make sure you have access to the attorney who took the deposition. 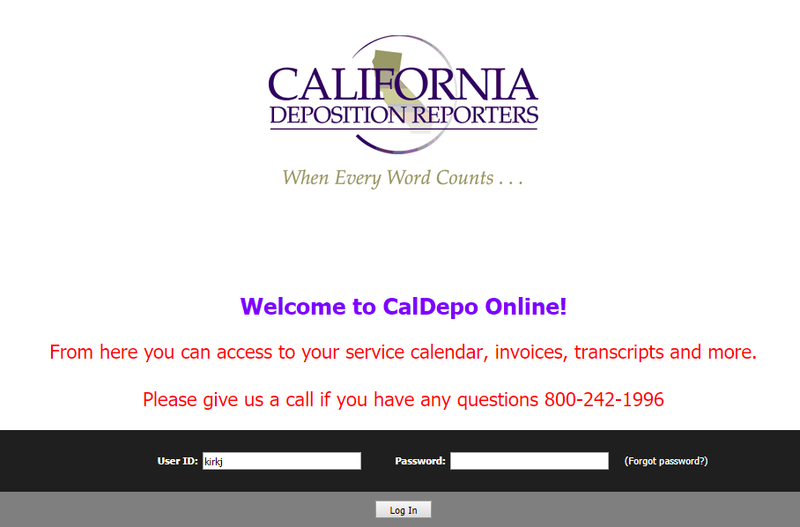 If you have any questions at all please email jamie@caldepo.com or call us at 626-915-1996 and we can help you and give a thorough demonstration.